18+. New UK customers only. Deposits made via Skrill and Neteller cannot be used for qualifying bets. Minimum odds of Evens (2.0) for qualifying bets. Five qualifying bets must be placed within 7 days to get a £10 free bet and £5 casino bonus. Another five qualifying bets must be placed in the following 7 days to get the max bonus. Free bets can only be used on wagers at odds of 6/1 (7.0) or lower. Value of Casino Bonus must be turned over 20x before withdrawals can be made. Free bets will expire after 7 days. Full T&C’s apply - Gamble Responsibly - begambleaware.org. Deposits made via Skrill and Neteller cannot be used for qualifying bets. Minimum odds of Evens (2.0) for qualifying bets. Five qualifying bets must be placed within 7 days to get a £10 free bet and £5 casino bonus. Another five qualifying bets must be placed in the following 7 days to get the max bonus. Free bets can only be used on wagers at odds of 6/1 (7.0) or lower. Value of Casino Bonus must be turned over 20x before withdrawals can be made. Free bets will expire after 7 days. 21Bet only launched in 2016 but it has already become well established in the UK. If you open an account with 21Bet you can get up to £30 in free bets and no 21Bet promo code is required for this welcome bonus offer. The sportsbook bonus includes a couple of free tokens for the terrific 21Bet casino suite too. 21Bet also have lots of sportsbook and casino promotions for existing customers. If you want to know more about this exciting new betting site just keep on reading! 21Bet Promo Code – £30 In Free Bets Welcome Offer! If you are a UK resident and you open a new account with 21Bet you can get up to £30 in free bets. No 21Bet promo code is required to get this welcome bonus and we explain how to get it and how the bonus works below. To get the 21Bet welcome promo, visit their site via one of our links and register a new account. Make a deposit and place 5 bets minimum £10 at odds of Evens (2.0) or bigger within 7 days of signing up to get a £10 free bet and a £5 Casino bonus. Wagers placed using cash deposited via Neteller or Skrill won’t count towards the sign-up offer. If you place another 5x £10 bets in the following seven days, you will get another £10 free bet and another £5 casino bonus. Once you have received your free bet token and casino bonus you must use them within 7 days or they will expire. 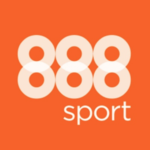 Free bet must be used in its entirety on any sports selection with odds no greater than 6/1 (7.0). Maximum allowable winnings from casino bonus are limited to £100 and bonus must be turned over 20x before withdrawals can be made. Some games contribute more than others towards Casino turnover requirements, as you can see from the table below. 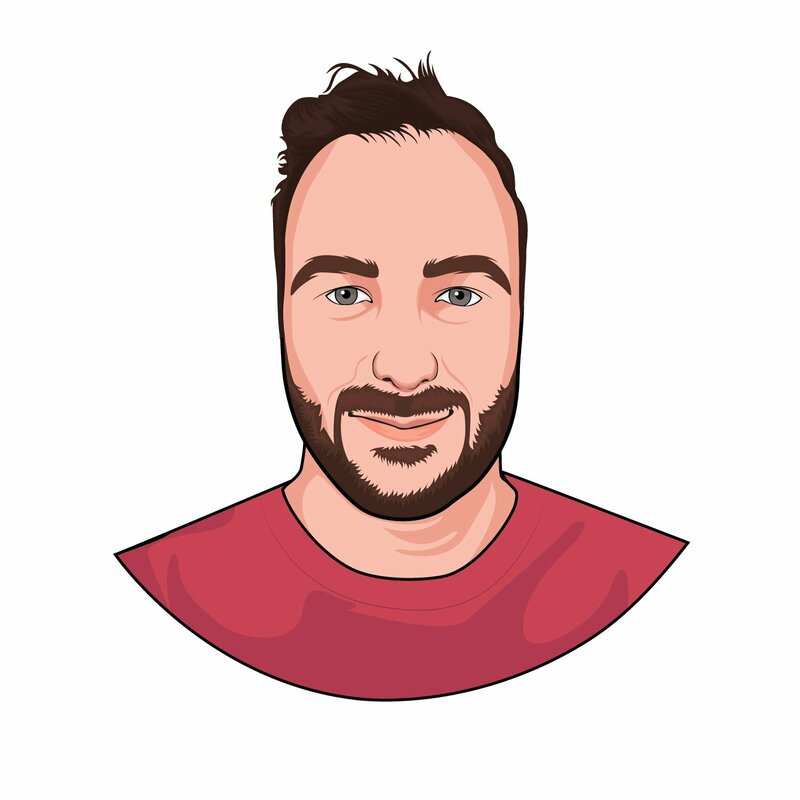 21Bet Promo Code – How do I get the 21Bet signup bonus? Head to 21Bet via one of our links. Open a new account and make a deposit. Bets placed using Neteller or Skrill deposits do not qualify. Place 5x £10 sports bets at odds of 1/1 (2.0) or bigger within 7 days of signing up. You will receive a £10 free bet and £5 casino bonus upon settlement of final qualifying bet. Place another 5x £10 qualifying bets in next 7 days to receive another £10 free bet and £5 casino bonus. Free bets must be used in full at odds of less than 6/1 (7.0) within 7 days. Bonus value must be turned over 20x before winnings can be withdrawn. Check 21Bet for full details. 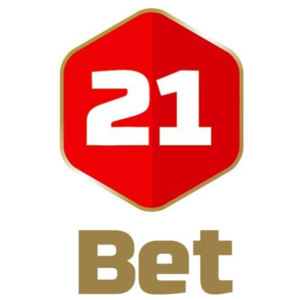 What are the 21Bet Welcome Offer’s Key Terms and Conditions? Below we list some of the key terms and conditions associated with the 21Bet welcome promo. Only available for UK residents aged 18 or over. Minimum odds of 1/1 (2.0) for qualifying bets. Please check 21Bet for full list of terms and conditions. 21Bet Promo Code – Is there a No Deposit Promo Code? Back in the day, no deposit sign up bonus offers were pretty common. However, new regulations introduced by the UK Gambling Commission have sparked a big decline in these offers and there is no 21Bet no deposit promo code. New customers who sign up via the mobile or desktop site can still get up to £20 in free bets and a £10 casino bonus. 21Bet have plenty of sportsbook promotions available for existing customers too and we reveal some of their best ones in the next section. Are there 21Bet Promo Codes for Existing Customers? If you are a fan of taking advantage of promotions it could be worth your while signing up with 21Bet. There is no 21Bet promo code required for these special offers. To find out more about the promotions they currently have on offer keep on reading. What are 21Bet’s Existing Customer Sports Betting Promotions? At the time of writing the following promotions were amongst the best that 21Bet had to offer. 21Bet Lucky 15 PromotionIf you are a fan of betting on racing you will more than likely love Lucky 15s. If that is the case then the 21Bet Lucky 15 promo is worth checking out. Opt-in and place 3x Lucky 15s during the week (min stake £15) to get a £5 free bet. Win and e/w Lucky 15s qualify once overall stake is £15. Check 21Bet for full terms and conditions. 21Bet Trebles+ Football PromotionIf you are a football fanatic that is mad about multis then the 21Bet Trebles+ promo could be just what the doctor ordered. If you place a multi with three selections minimum on Premier League, La Liga, Championship, Europa or Champions League and all your legs are ahead at half time, you will get a 21% CASH bonus if your bet goes on to win. Max bonus £50, pre-match 1×2 market multis only. See 21Bet for full details. 21Bet Price BoostsAs if the previous two promos weren’t enough, 21Bet also offer enhanced prices that are updated daily. 21Bet Price Boosts can be on any market in any sport and there is usually an enhanced price to suit everyone. Check the 21Bet Price Boosts page to see the latest offers as they are updated very regularly. Are there 21Bet Promo Codes for Online Casino? If you sign up you can play in the 21Bet Casino and Live Casino suites but unfortunately, they do not have a separate casino welcome offer. However, you can get up to £10 in casino bonuses if you sign up to the 21Bet sportsbook, an offer we explained in detail earlier on. 21Bet is a lot more than just a sportsbook, even if that is their main focus. If you like to have a spin on the slots or playing baccarat or blackjack, then the 21Bet Casino and Live Casino suites are definitely worth checking out. No 21Bet promo codes are needed for the following promotions. Every day there is a different promotion to choose from. Mobile Mania Mondays (£5 bonus), Table Game Tuesdays (10 Free Spins), Hollywood Wednesdays (10% losses refund), Free Spin Thursdays (20 Free Spins), Free Bet Friday (£5 free bet), Sports Slots Saturday (£10 bonus) and Sunday Live (£10 bonus). Of course, certain wagering requirements apply for all bonus offers and you can find the terms and conditions on the 21Bet site. In a nutshell, existing customers can earn up to £30 in bonuses and 30 free spins EVERY week if they meet the wagering requirements and this more than makes up for the lack of a Casino welcome offer. Who are 21Bet And Can You Trust Them? 21Bet was launched in a blaze of publicity in March 2016 and they are still trying to build their reputation in the UK. They hold a licence issued by the UK Gambling Commission and the 21Bet site is powered by FSB Technology. 21Bet focus primarily on sports and you can bet in play on a good selection of events from around the world as you can see from the list below. You can also play on the cool Casino and Live Casino suites if you sign up with 21Bet. What Sports Can I Bet In-Play On With 21Bet? Unfortunately, 21Bet do not have live streaming available but you can bet in play on a wide range of sports. They have a nice amount of in-play markets to choose from and below you will find a list of some of the most popular sports you can bet in-play on with 21Bet. 21Bet Payment Methods – What are the options for making Deposits and Withdrawals? It is always advisable to do some digging and find out the payment methods that are available with your chosen betting site before signing up. The more options you have, the better and this is an area where 21Bet could improve. They have a limited number of options available for deposits and withdrawals and they do not accept PayPal. However, they do accept payments from Neteller and Skrill, though bets placed using those e-wallets will not qualify for the 21Bet welcome offer. Some fees will apply to withdrawals if certain spending targets are not met. If you have not spent 50% of your original deposit a 5% fee will be applied to your withdrawal (min £5 fee). 21Bet Promo Code – Do 21Bet have any mobile betting promotions? 21Bet have a cool web app that works across all platforms and it gets the job done for punters who like to bet on the move. Unlike a lot of their rivals, 21Bet do not have native apps for Android or iOS devices. The 21Bet Web app is designed to work across all mobile platforms, including Nokia, Windows and Blackberry devices. Unlike William Hill, 21Bet do not have any sportsbook promotions aimed solely at mobile customers. However, if you use the 21Bet casino or live casino mobile suite to play any mobile games on a Monday, you can earn a £5 bonus if you stake £50. Check 21Bet for full details of the Mobile Mania Mondays offer. The 21Bet web app resembles the desktop site and this makes it feel familiar and easy to navigate. In-play odds refresh regularly and placing a bet is easy. If you mostly bet using your mobile device, the 21Bet web app is well worth a second look. Customer Support – Help with 21Bet Promo Codes if you need it! If you are spending money on a regular basis with an online bookie it should be a given that the customer service is up to scratch. We found the 21Bet customer service to be solid if not spectacular. 21Bet have a Live Chat option but unfortunately, it is not a 24-hour service and operators are only available from 11am to 11pm. You can also get in touch via the ‘Contact Us’ page or email. 21Bet did not display any contact phone number or postal address on their site and they don’t have an FAQ section either. If you have any queries or questions regarding your 21Bet account you can find their contact details below. Live Chat – 11am to 11pm 7 days a week. Email- [email protected] or via form on ‘Contact Us’ page. 21Bet Promo Code – Sign Up Now To Get Your £30 Bonus! 21Bet have work to do in some areas, but overall we think they are a bookie to note. Their bet £100 to get £30 welcome offer stands up to scrutiny and we like how the offer includes up to £10 in casino bonuses. Although 21Bet do not have a separate welcome offer for their Casino suite you can still earn nice bonuses every week via their generous daily casino promotions. With in-play and mobile betting also available, you could do a lot worse than opening an account with 21Bet! Is there a 21Bet Promo Code for a sportsbook sign up offer? No 21Bet promo code is required to get the £30 21Bet welcome bonus offer. All you need to do is sign up via one of our links, make a deposit (Neteller and Skrill deposits don’t qualify) and then place 5x £10 bets within 7 days. You will receive a £10 free bet and £5 casino bonus, and if you repeat the process in the following 7 days you will get the same bonus again. Check 21Bet for full terms and conditions. Does 21Bet Have Live Streaming of any sports? No, you cannot stream any sports live with 21Bet and hopefully, they address that issue soon. You can bet in-play with 21Bet on both their desktop and mobile sites and they have a nice range of sports and a good depth of markets available. If 21Bet do add live streaming to their service in the future you will hear about it here first. PayPal is one of the most popular e-wallets on the planet but unfortunately, 21Bet do not accept PayPal for deposits or withdrawals. The only methods you can use to top up your account or withdraw funds are by using Visa or MasterCard credit or debit cards, Neteller or Skrill. If you use Neteller or Skrill funds you won’t qualify for the 21Bet welcome bonus.